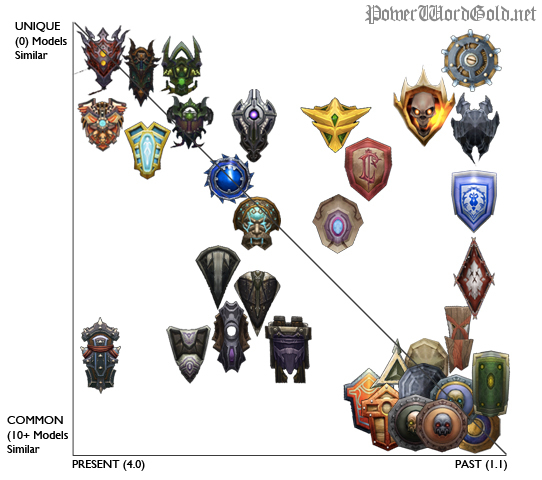 In the recent post "BOE Shields - An Analysis Of What Might Sell Post Patch 4.3" over at Power Word: Gold Keelhaul (@_Keelhaul) did an analysis of Bind on Equip (BoE) shield differentiation in World of Warcraft from a gold-making perspective. I was so impressed with the quality of the post that I decided to re-post a section of the analysis over here. 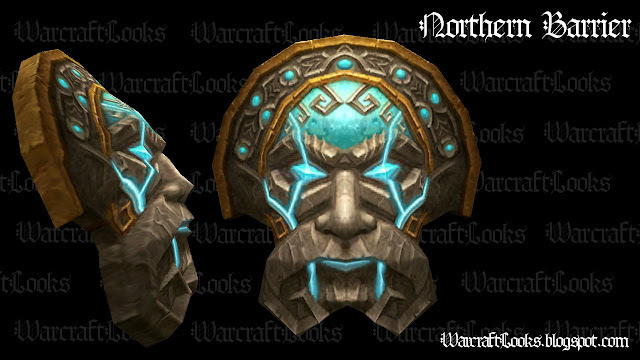 I think it can really help players who are looking for unique shield looks for their character on the auction house. 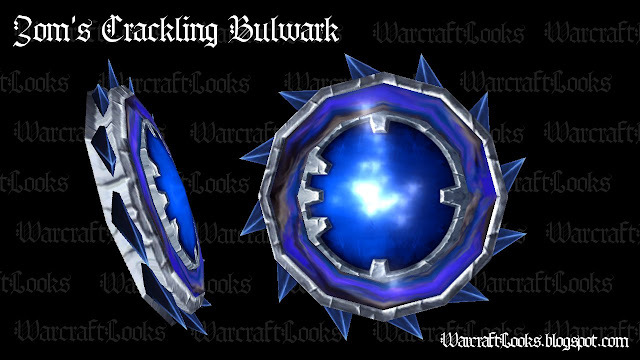 After the jump I share an excerpt of Keelhaul's analysis as well as images of some of shields I found most interesting. 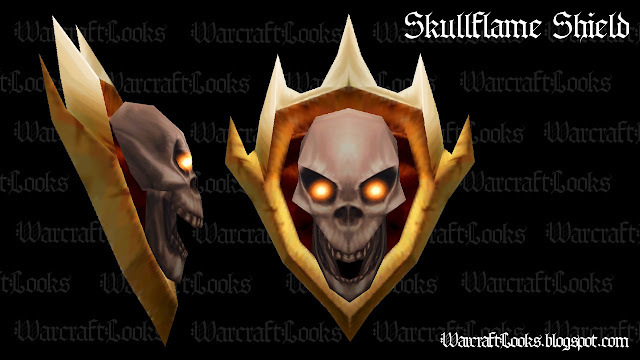 From the post: "With personalization becoming so valuable in 4.3 with transmogrification, we'll see over time that a player's ability to stand out among their peers will likely become highly desirable. This chart is what we call in my professional field (design research), a visual positioning exercise. You're analyzing form, not color or iconography, on a 2 x 2 axis. Players making decisions entirely based upon color or iconography will likely be a smaller audience. The vertical axis is a continuum of Introverted forms (singular, quiet geometry) to Extroverted forms (multiple, intersecting, loud geometry). The horizontal axis is a continuum of Linear forms (static, rectilinear, predictable geometry) to Organic forms (fluid, multi-transitional unpredictable geometry)." "This chart is what we call in my professional field (design research), a visual positioning exercise. You're analyzing form, not color or iconography, on a 2 x 2 axis. 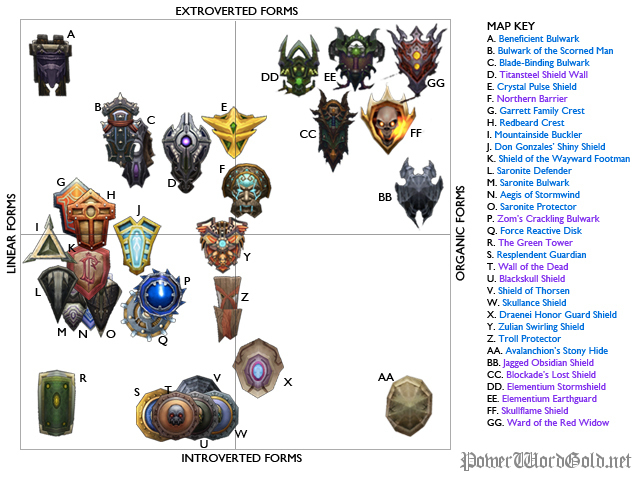 Players making decisions entirely based upon color or iconography will likely be a smaller audience. 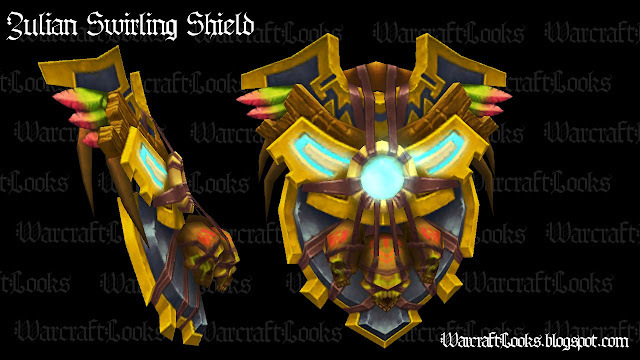 I always like to get a good look at what items look like and so I put together images of the most interesting shields from the analysis post. Also because all the shields in the post are BoE there is a chance of finding them for sale on the auction house. 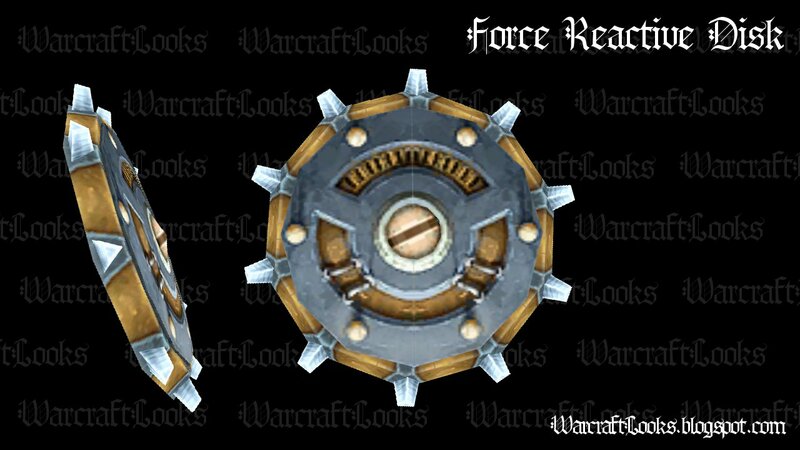 Keelhaul has let me know they are working on further analysis for the various armor and weapon types. We look forward to bringing you more in the future.